Let’s face it; wallpaper is BACK! A blast from the past you might call it, and it’s better than ever! 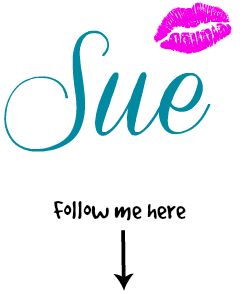 I’m so excited to be sharing this post with you, as we’ve FINALLY finished our master closet update, and the show stopper of it all is definitely the wallpaper from Walls Republic. 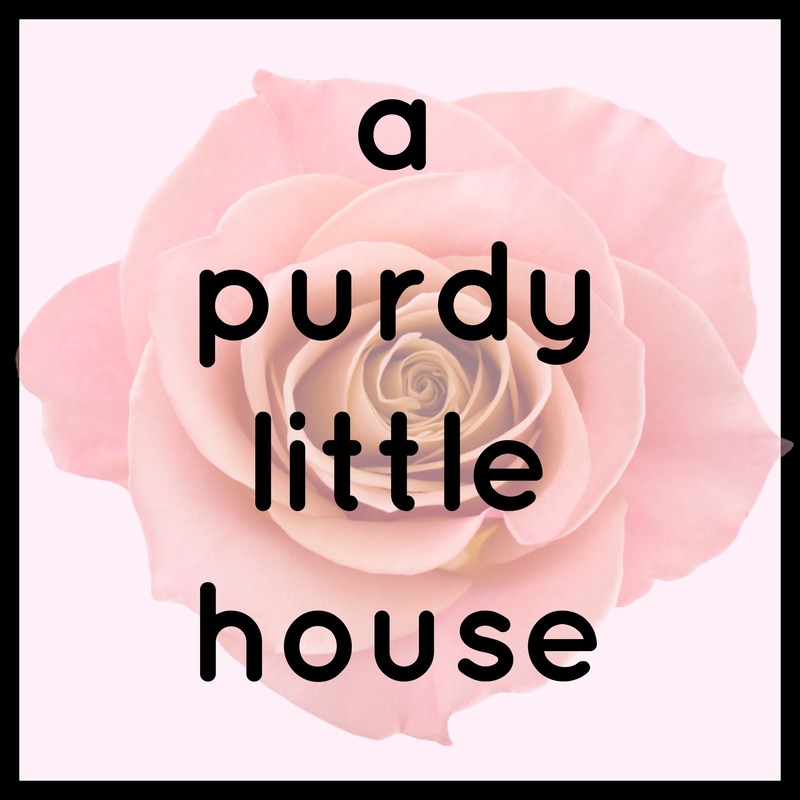 Sponsored Post Disclosure: I was not financially compensated for this post. I did receive product from Walls Republic in exchange for my honest overall opinion for review purposes. All views expressed are my own. 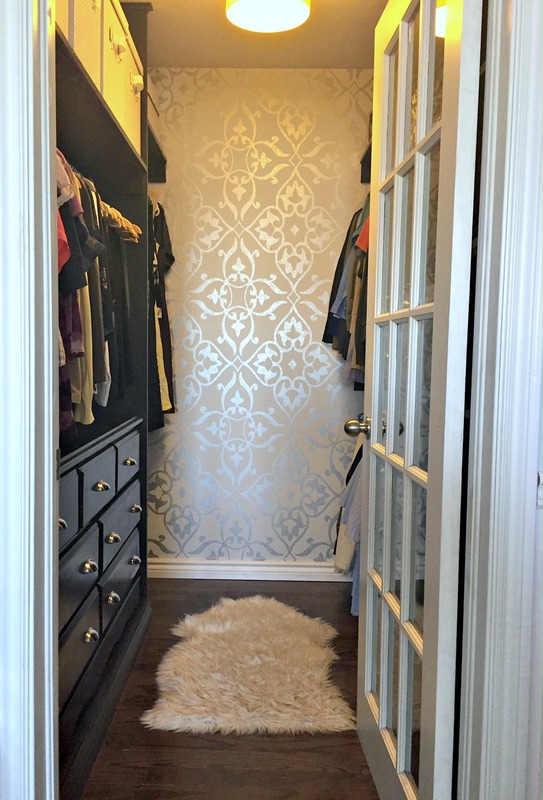 I’ve recently teamed up with Walls Republic who provided this stunning wallpaper for my closet project. 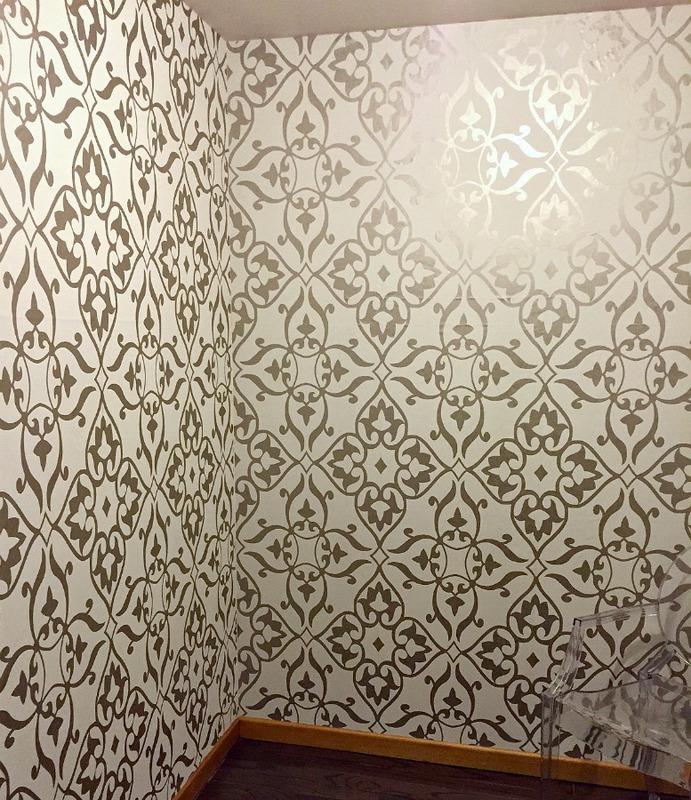 I let the wallpaper take center stage on this project and used it as a jumping off point for the rest of the project. 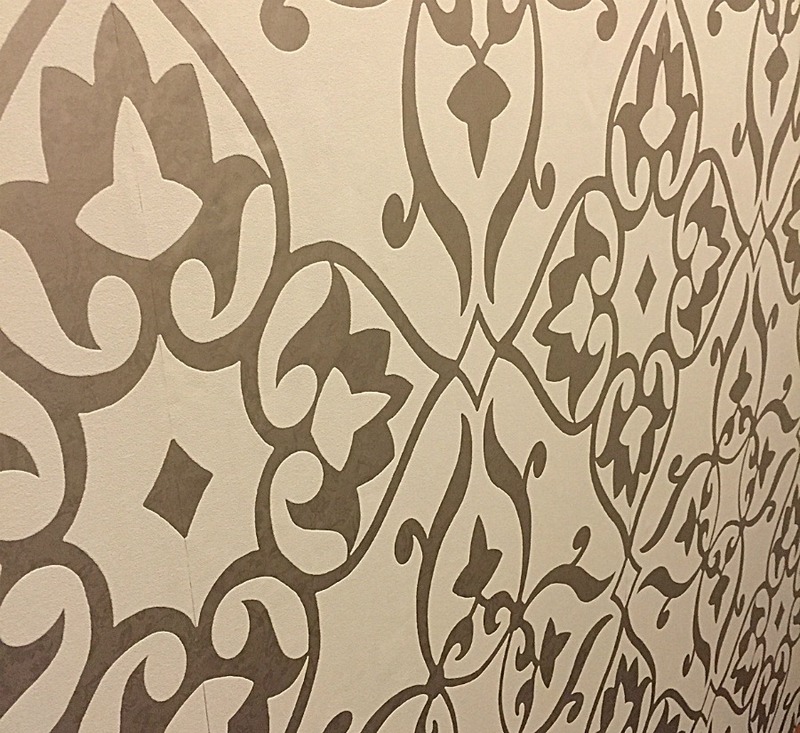 I always knew that I wanted to have wallpaper in my closet, and I also knew it had to be a big bold graphic pattern. It’s a relatively small space, but the wallpaper had to be the focal point. Walls Republic honestly has an amazing selection of high quality papers and murals with endless patterns and graphics. 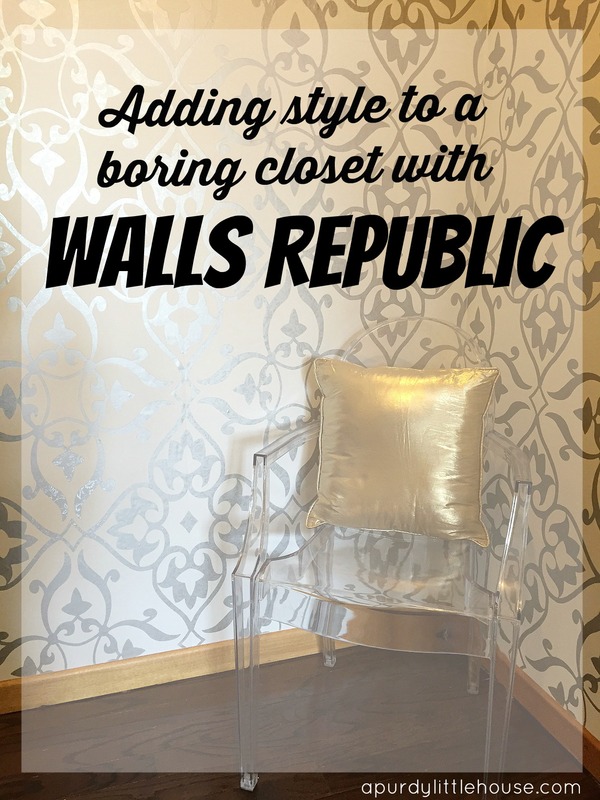 It was so difficult to decide, but Walls Republic makes it easy, since they will ship you up to five wallpaper samples to your home for FREE!!! This was so helpful, since it’s hard to tell the exact colour and texture of the paper just from a photo online. So, after the hard part is finished (aka choosing which gorgeous paper to use), you can move on to installation. Shipping was really quick, so you won’t have to wait around long for your pretty paper to arrive. The installation was way easier than I had anticipated, as I had never used a ‘paste the wall’ type of paper before. 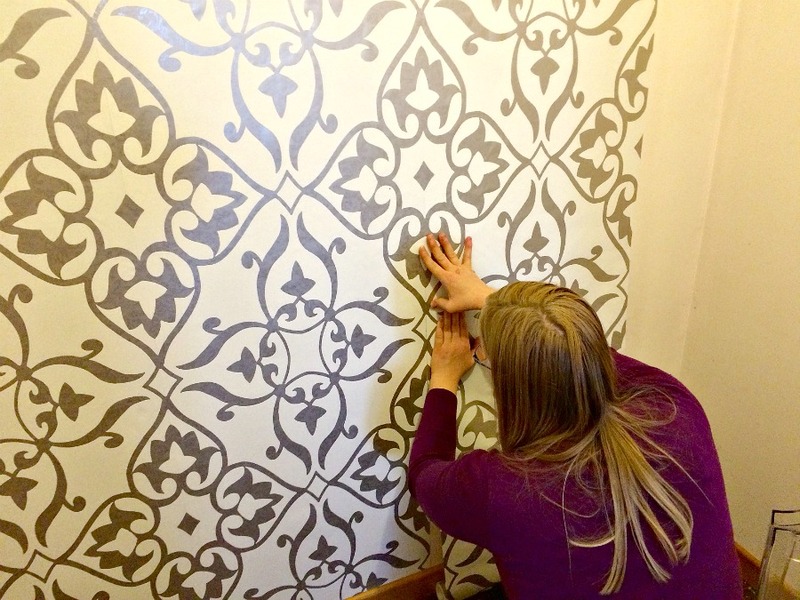 The wallpaper adhesive runs about $10.00 for a gallon at any hardware store, and I only ended up using about half the gallon, so it goes a long way. 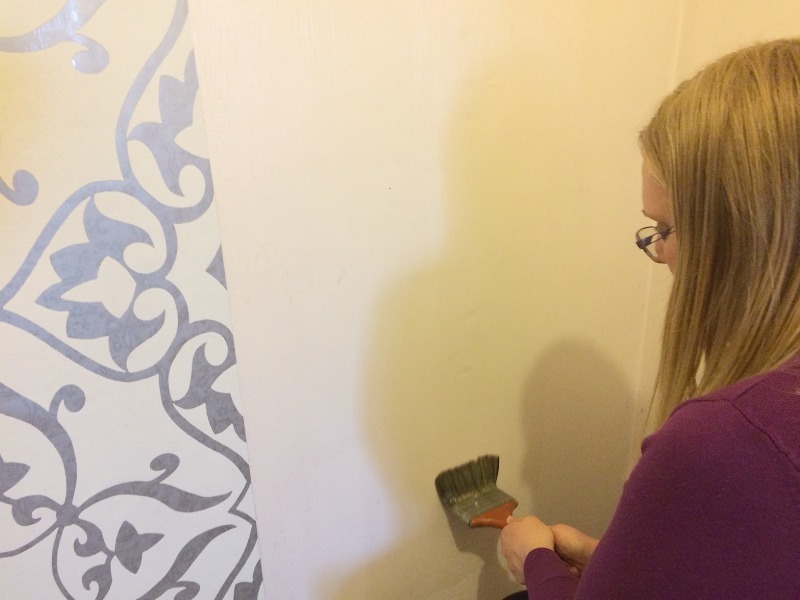 The adhesive is kind of like a clear glue that you can apply to the wall with a brush or a roller. I like that the wallpaper doesn’t get all wet like how the pre-pasted papers work. Applying the paper was very quick and easy. The paper stuck to the adhesive, but could easily be wiggled around in order to match the pattern up perfectly. This paper was also so heavy and thick, that any small air bubbles could be smoothed out in a snap. I am in LOVE with this paper. I really am… Is that a little weird? Lol. One of these photos was taken at night and one during the day. I did this to show you how the overall tone and colour of the paper changes depending on the lighting. During the day, it has subtle gold tones, and at night they are silver. Here is a close up for the paper. I love the inlay design inside the larger pattern, and that it has a shimmery effect when light hits the paper. 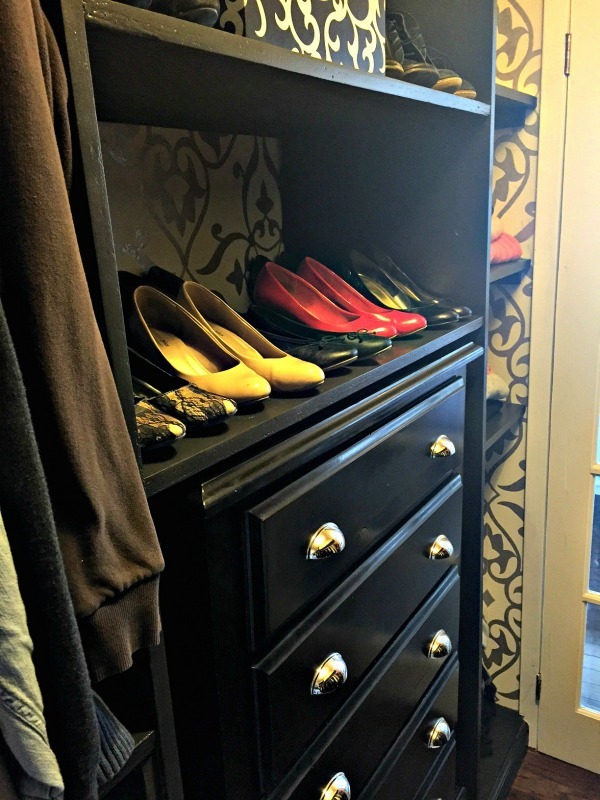 As the closet continued to come together, the wallpaper remained the main focal point, and I pulled the darker grey tones from the paper onto the cabinetry to balance the feminine and masculine qualities of the shared closet. The space now feels sophisticated and elegant. I adore how the gorgeous wallpaper can be seen behind all the custom built in shelving. Oh my goodness that is gorgeous!!! I’m not usually a fan of wallpaper but this I could live with! This is absolutely GORGEOUS! I love this wallpaper in all it’s big print, metallic glory. It’s fab, so glad you shared! Ya know, I thought wallpaper was out and gone forever, but this is GORGEOUS. 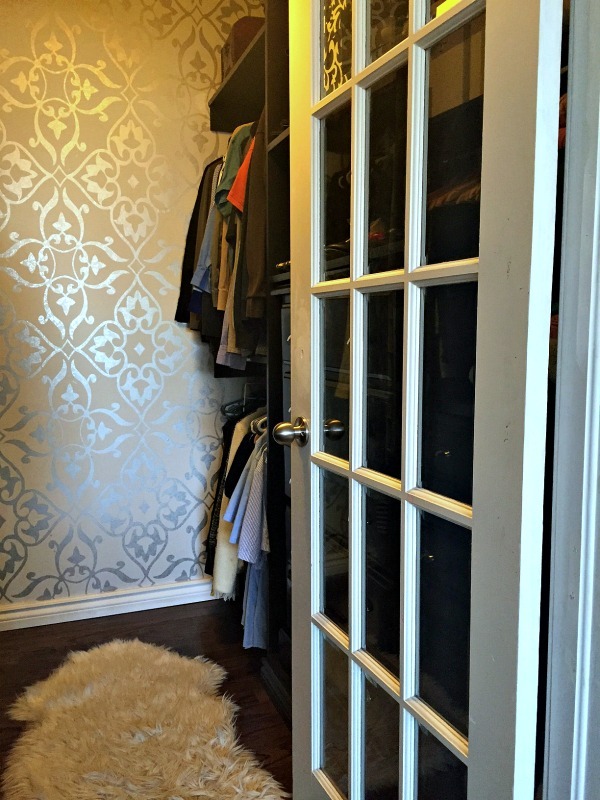 I love the big, bold pattern in the small (neat, beautiful) space of your closet. Thanks so much Amanda ???? You are the sweetest!